One of the great questions of this moment is what to do with problematic artists and entertainers. “Problematic” is a word you’ve probably heard and used in conversations about any number of hyena-actors, overwhelmingly white and male and often creatively boring, each accused of sexual harassment, abuse and varying degrees of public perversion. America is nothing if not sanctimonious about sexual perversion, but the harassment and abuse is a real problem for women and, certainly, younger artists trying to feel out the marketplace of ideas—those without power, in other words. Countless victims are thrown onto new and unfortunate courses in life because of the actions of powerful abusers. It’s a major problem. And, so: “problematic.” It’s a vague catch-all term, unfortunately, and it’s not clear what the audience is meant to do with any of that information. How do we register our offense, our dismay, our shock? 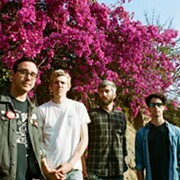 In the summer of 2016, the little-known New Jersey indie rock outfit Pinegrove splashed some much-needed waves across the genre and onto the pages of things like Stereogum and Pitchfork with an album called Cardinal. It was a hit. Songwriter Evan Stephens Hall had tapped into the wandering, uncertain nerves of youth in suburban Montclair, N.J. It may as well have been Broadview Heights he was writing about. i want to begin by saying that my actions have caused someone i care about deep emotional pain and i am so sorry. 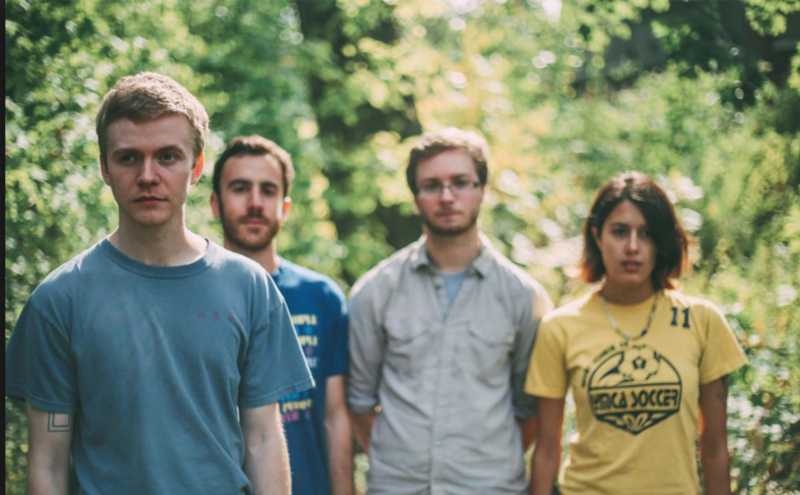 Pinegrove canceled its upcoming tour, and that seemed to be that. The band would drift into the fog, and Cardinal would largely be forgotten. The word “Pinegrove,” probably, would carry a negative heft in the ensuing years, and then it, too, would be forgotten. The court of public opinion can be heavy-handed in this. But then the band abruptly returned to the stage—with a new album! And a Pitchfork feature titled “Reckoning with Pinegrove.” Hall and the band were something with which to reckon. And that process of feeling out how to engage with an artist accused of sexual coercion continues to this day. A Pinegrove show is a loaded event. This is something one knows when one buys a ticket. The sold-out crowd in Cleveland last night suggests, at least, that fans are willing to work with Hall on this. While the singer-guitarist—with T-shirt tucked customarily into pants—made no mention of that problematic history (why would he? 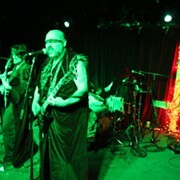 ), the band’s heavily charged past materialized as a big ol’ elephant sitting quietly in the room. I wanted to see Pinegrove because I’d missed them a few years back on the westside—before everything. Now, with the new songs on Skylight filling out lengthy setlists, there are plenty of reasons to want to look into what the band is doing these days. They’re talented, if problematic. What emerged on that 2018 album is, in several ways, even better music than the stuff on Cardinal. (Skylight was recorded before the band took its hiatus.) Throughout songs like “Rings” and “Darkness,” Hall presents a vulnerable sense of self-actualization, like he’s been looking into the mirror for way too long. Onstage, this comes across pretty clearly: Hall often seems like he may as well be in his teenage bedroom, singing to himself while Montclair suburban vistas loom just outside. Hall didn’t engage the Grog Shop crowd much, offering only a few moments of friendly stage banter. “Thanks for being so respectful to one another and to us, and for bringing the enthusiasm,” he said midway through the show. At times, the band reminded me of a younger, more buttoned-up version of Wilco. While they weren’t diverging much from the studio versions of these songs, a lot of their material plays with time signatures and skitters across unconventional song structures. Oftentimes, it really is just Hall up there, working through a nice melody on his own and earnestly vaulting through lyrics that veer extremely close to the news stories and blog posts that have affected the band as a whole. Throughout, the audience was great. The crowd was happy, respectful (indeed) and frequently caught up in sing-along moments with Hall. Pinegrove is a great case study for how audiences work through the complicated private/public lives of artists in this social media-wracked world and in the larger context of the #metoo movement in the U.S. Their music is great, and they’ve decided to continue performing as society churns onward. Each show, then, provides an opportunity to think about those deeper questions.